Hi all, I am trying to open some image files to do a multiple file rename as per the weekly letter. 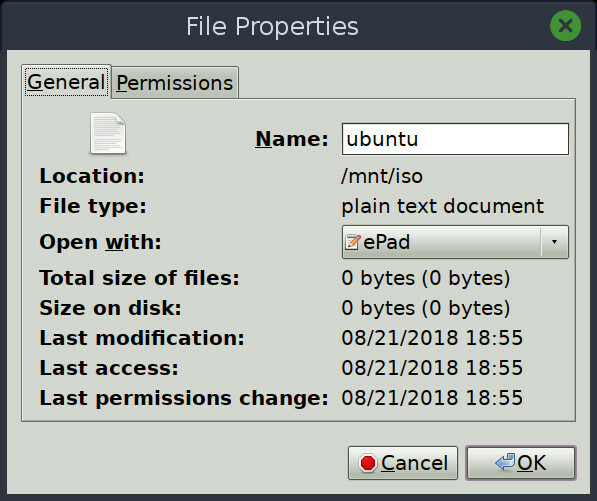 When cd to mnt then cd to the drive containing the files I get no content when using the ls command. 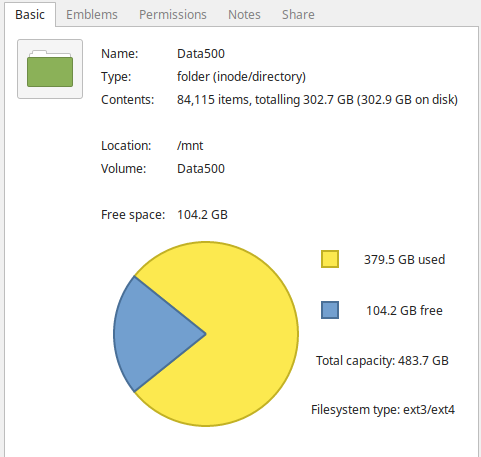 Disks shows it as mnt/Data500. When I use Nemo it shows all the directories and files. How can I change the path for this drive so it can be seen in Terminal? what about going up a level with cd .. and checking permissions with ls -l there just to make sure read is enabled for your user? Thanks cordx, I can read all the directories and files, but my problem is the cd to mnt shows my drives but no content. Seems the path to the mnt HDDs is not going to the correct address. When I use DBeaver to open a file it goes to home/myname/mnt/ where it shows drive names but they are empty. I have to go via 'Other Locations/Computer/mnt/ then the drives show and I can access the content. Quite confusing for me, both paths show the drives, but only the second one shows content. quite confusing indeed. were you able to rename using the Other Locations path? i don’t think it will help fix anything, but i would also wonder what path lsblk gives. Could only use the Other Locations in GUI, not in terminal. When I open a file manager it shows my name and when I open there I get a mnt option but the drives show no content. This is a screenshot of lsblk if that is any indication of what I’m doing wrong. which distro are you using? is this a network share? any objections to me adding this to the linux mint category in case one of the mint users sees it and can offer some help? Is there an easy way to move these to the brian/mnt directory from the /mnt directory. That would solve the dilemma. Please do so it can only help. in this instance, can you check the properties (i know i’m using a different file manager. i just want to see if yours has anything similar) and see if it shows the file path like below? i’m wondering if yours has a similar “location” view. That’s usually the correct location, when speaking about GUI file explorer. Either that is an error or a pathetic atempt to make the pluggables “more accessible”. Confirming that /dev/sda1 is mounted on /mnt/Data500. Other Locations is just a fancy way of displaying pluggable drives in the file explorer. It has nothing to do with how the media is actually mounted. Hi Akito, tried above suggestion but maybe I’m missing something. i see you are in /home/brian/mnt. have you already created an empty /Data500 directory in /mnt? I think I made a mistake there with the command. Thanks Akito, that worked. I also changed my other drive using the command but changing sda1 to the other drives path and name. Thumbs up for that! Hi cordx, yes I had already created empty directories for both of my mnt drives. Got the solution from Akito.